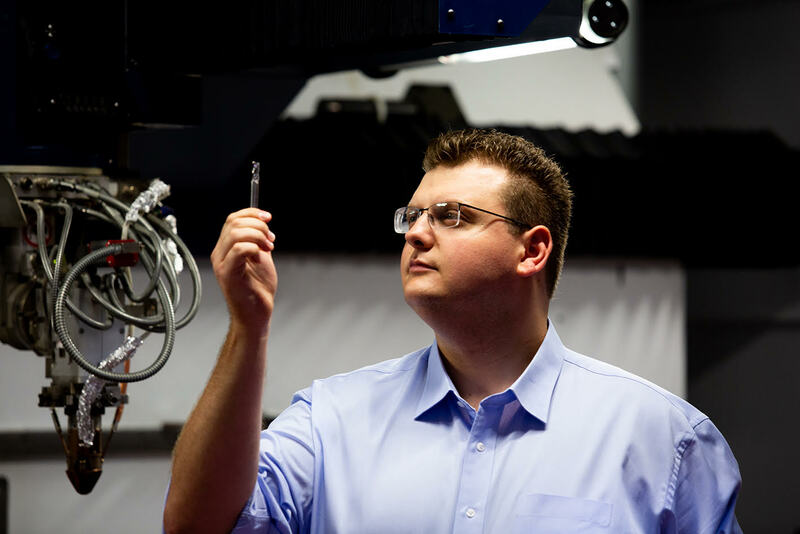 RMIT University PhD candidate Jimmy Toton received the 2019 Young Defence Innovator Award and $15,000 prize at the Avalon International Airshow for his research into 3D printed, high-strength cutting tools. The research was conducted at RMIT’s Advanced Manufacturing Precinct in collaboration with Defence Materials Technology Centre (DMTC) and industry partner Sutton Tools. The research team utilised Laser Metal Deposition technology to make its high-performance steel milling cutters, and subsequently staged a demonstration that proved the tools can cut titanium alloys as well as, or in some cases better than, conventional steel tools. Mr Toton, who is currently working towards establishing a print-to-order capability for Australia’s advanced manufacturing supply chains, said the opportunities brought forward by the new technology are enormous. “Now that we’ve shown what’s possible, the full potential of 3D printing can start being applied to this industry, where it could improve productivity and tool life while reducing cost,” he said. DMTC CEO, Dr Mark Hodge, said the technology could deliver improved productivity and cost-efficiency for Australian manufacturers. “Supply chain innovations and advances like improved tooling capability all add up to meeting performance benchmarks and positioning Australian companies to win work in local and global supply chains,” he said. Professor Milan Brandt, Director of RMIT’s Advanced Manufacturing Precinct and Toton’s supervisor, said the work clearly showed the technology’s potential. “Additive technology is rising globally and Jimmy’s project highlights a market where it can be applied to precisely because of the benefits that this technology offers over conventional manufacturing methods,” the Professor concluded.